Meet bright, curious, real tween girls who put science and engineering to work in their everyday lives. In every episode, animated hosts Izzie and Jake face a new challenge. With the help of the SciGirls website, Izzie finds a different team of middle school girls who work with scientist mentors to design their own investigations on a wide variety of topics, from the environment to technology, engineering to nutrition, and beyond. 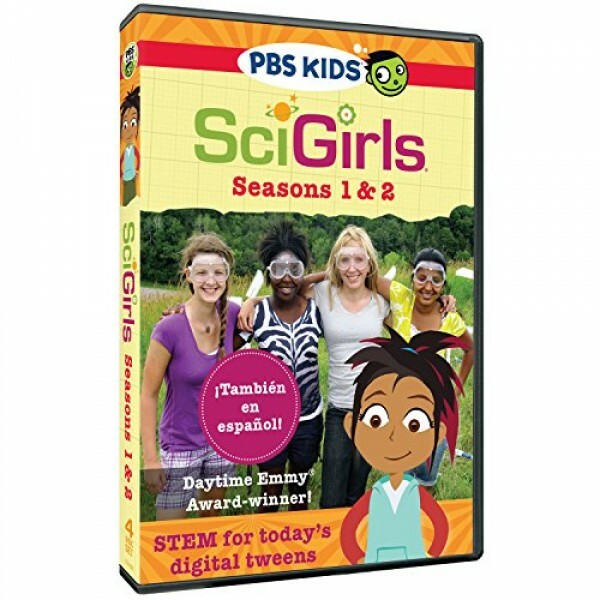 In Seasons 1 & 2, the SciGirls study dolphins, engineer a giant mechanical puppet, unearth archaeological secrets, create high-tech fashions, and much more. SciGirls inspires kids to explore the world around them and discover that Science, Technology, Engineering, and Math are everywhere!